Even though I NEVER complete a read-a-thon, it doesn’t discourage me from joining any reading event I can find on the internet. 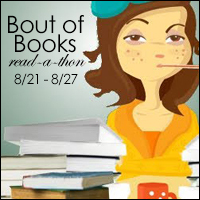 I’ve participated in the 24in48 read-a-thon and Bout of Books about twice now. This post is about joining the latest boutofbooks. Read the quick blurb from the creators and join me if you can!